The Chicken Squad is back for their second (mis)adventure, and this time they’re solving the mystery of a kidnapped…HOUSE? 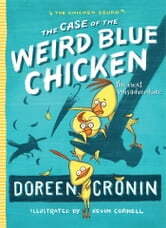 A hilarious, “easy to read” (Booklist) chapter book from the bestselling author of Click, Clack, Moo and The Trouble with Chickens. Dirt, Sugar, Sweetie, and Poppy are the four members of The Chicken Squad, and business is booming. 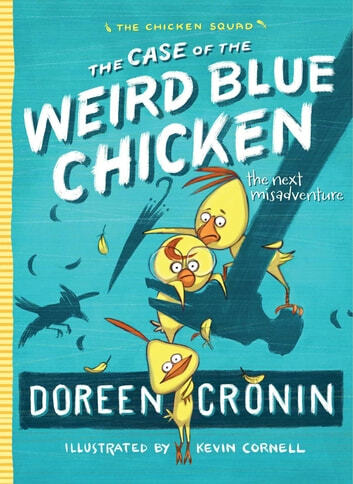 A weird blue bird has just flown into Chicken Squad headquarters squawking on about a house-napper (yes, house-napper), and it is once again up to the squad to uncover who is up to no good. But there is something NUTS about this story that the squad can’t quite put their feather on…and oh, brother, is it key to solving the case!